Ok so I defeated the Xraki and dealt with the origin. Now what? I purchased the expansion as a package deal with the base game but I cant figure out if I beat the expansion as well. When I click on the Objectives button all the missions say complete except "Aftermath - The ancient monitors. What am I doing wrong? According to my steam account I have the "earth rising expansion pack" Any advice or tips would be greatly appreciated. Have you visited all of the star systems that the Precursor starbases referred you to? Have you dealt with the attacks on the human base in Epsilon Trireme? Have you met the Gloosh? Have you met the unknown enemy flying Lexite ships? Right, so you have completed most of the Aftermath (Earth Rising Part 1) content then. 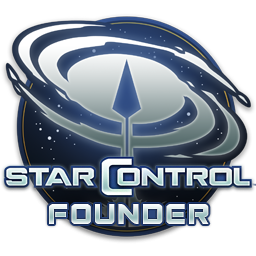 The Precursor starbases themselves are part of the main game's content, but each starbase tells you to visit a specific system. These dialogue lines were added in Aftermath. This, I believe, is the remaining objective you have uncompleted. ^^^^All of these say complete next to them, the only one that does not is the very first one stating visit all the star bases. Did I miss a system or something? You have missed the clue from the Fluorescent Approach starbase, near the Wendigo constellation. Earth Rising Part 2 hasn't been released yet, but it's coming out soon. I believe that you (and I, and everyone else who has bought Earth Rising) should be able to play it as soon as it gets released. Earth Rising part 2 is in with the voice actors. Part 3 and 4 are being programmed now. Part 3 is, from what I'm seeing, quite a bit bigger than part 1 and 2.